Is she the perfect killing machine? She's the best there is at what she does, and she gets it from her dad's side! 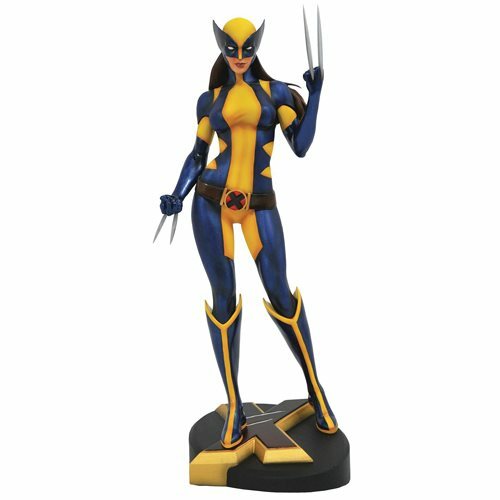 The Wolverine (formerly X-23, now just Laura Kinney) is the latest entry in the Marvel Gallery line of PVC Dioramas. Measuring approximately 9-inches tall, this detailed sculpture is made of high-quality PVC, and features collectible-quality paint applications and comes packaged in a full-color window box. Ages 14 and up .